How Blue feels about her friendships with the Raven Boys is similar to the way I feel about reading other books after reading Blue Lily, Lily Blue: it’s difficult to read something that isn’t as enchanting, well-written, or captivating as Stiefvater’s story. The Raven Cycle has an intriguing fantastical element that is often difficult to find, especially in the formulaic world of algorithms and sales statistics that dictate how and which YA novels should be written. Once again, Stiefvater has crafted another memorable installment in this engrossing series. The character development in these novels is remarkable. I love the way you can clearly see changes in not only their perspectives and opinions, but their actions as well. For instance, Ronan is not the brutish, nasty, one-sided teen that we were first introduced to in The Raven Boys. He still exudes that tough “bad boy” persona, of course– he wouldn’t be Ronan if he didn’t– but it’s clear that recent events have caused him to mature in a way that only life experiences can. He takes more responsibility for his actions and is only rash, wild, and impulsive some of the time. In my opinion, Adam is one of the most interesting and complex characters in this series. In this novel in particular he seems to inhabit three distinct spaces: the sparkling, gilded world of Aglionby Academy, his own troubled home life, and the fantastical realm of Cabeswater. Not only must he face obstacles involving the primary plot of the story– that of their quest to find Glendower– but he also has to deal with family problems, financial instability, and the looming question of what life after high school will hold. Stiefvater maintains a careful balance between ordinary dilemmas (college searching, family dynamics, etc.) and magical challenges (creepy caves filled with mysterious singing?). Such a balance adds depth to the story while simultaneously helping the reader to suspend their disbelief and more fully accept the odd occurrences that riddle the world of Blue and the Raven Boys. 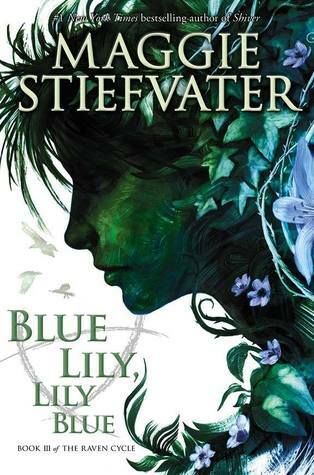 Although the Raven Cycle can be considered a fantasy series, I certainly wouldn’t define it as anything “traditional.” Rather than focus on the usual fairies, trolls, and other mystical creatures of fantasy, Stiefvater bursts those boundaries and instead highlights the fascinating legends surrounding ley lines. Before reading this series I knew next to nothing about ley lines, but now I feel as though I could hold a pretty decent conversation about them. It’s refreshing to read about a topic that hasn’t been recycled again and again before, at least in the eyes of recent YA trends. On top of all of these impressive aspects, Stiefvater also manages to incorporate several important topics into this story, including feminism and privilege. There’s an excellent scene in which Blue chastises a man for “complimenting” her legs, emphasizing that she’s much more than any physical part of her body could ever demonstrate. At first Gansey doesn’t understand why the comment infuriates Blue, a flaw which I actually love. The fact that Blue has to teach Gansey how problematic such comments about women’s bodies are shows that the characters are human. They are not perfect, just as we, the readers, also make mistakes. Speaking of Gansey, I think it’s interesting to think about his representation of privilege on numerous levels. Gansey is rich, white, attractive, intelligent, comes from a reputable family– the list goes on and on. Yet to some extent he recognizes his privilege and attempts to help those less privileged than he is, mainly Adam. But is he really doing all that he can to help those less fortunate than he? Should he be doing more? Is this a valid critique of his character? I applaud this novel for sparking these sorts of questions, for I think they are ones we should be asking more often while reading. For all of its positive aspects, Blue Lily, Lily Blue did feel like a bit of a transitional installment in this series. While I don’t think it’s my favorite book in the Raven Cycle, it’s certainly an enthralling and gripping read. I can’t wait to read the fourth and final book in this unforgettable series! What are your thoughts on Blue Lily, Lily Blue or any of the books in the Raven Cycle? Let me know in the comments section below! P.S. Interested in reading more of my thoughts on this series? Check out my reviews of The Raven Boys and The Dream Thieves. Love this series to death. To me, it’s one of the most original and best YA out there. You have definitely piqued my interest about this series.. I’ll definitely add it to my “To Read” shelf on goodreads! I have read much about the Raven Cycle series but I’ve never been able to make my mind to actually read it. Is it worth a read? I have some ‘gift money’ and I might spend on this! Or will you recommend any other book or series? This is one of my favorite series ever, and I totally agree with your review! This one is my least favorite of the four books; as you said, it feels more like a transition between books and doesn’t stand quite as well on its own. But nevertheless, it’s still a wonderful book. I absolutely agree about the characters, they are so carefully crafted and realistically flawed. I have mixed feelings about Adam, but I think it’s because he’s such a complex character––and I like his character arc throughout the series, and how he has to learn that help/caring and pity don’t go hand-in-hand. I feel like in this book in particular, he starts to see that. Great review! I love this series and agree with you re: both the character development in these books and the complexity of Adam Parrish. And you are so right about that scene with Blue and Gansey — I love how honest it is but also instructional (for lack of a better word) and unapologetic. Thanks! 🙂 I’m really hoping that the last book in this series doesn’t disappoint! Great review. I love how you broke it down to the best parts that moved you.